Life seems so rushed these days and everyone gets stressed and tired so why not try our out of season wellness breaks from March – June and September to November. stay at Casa Julian where you can just relax, read, take energising walks or hire bikes amongst lovely scenery or swim in the pool ( open June –September). enjoy subsidised sessions at the nearby ‘New Perfect Gym’ where you can try Pilates, Zumba dance exercise or do a circuit before relaxing in a Sauna. 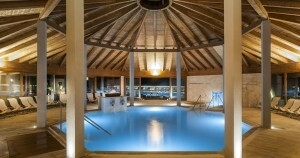 Visit one or more of the many hot thermal spas within easy travelling by car. Take your pick between San Casciano di Bagni, Rapalanno Terme, Bagni Vignoni or Chianciano Terme, all known for their relaxing and health giving qualities. Eat at local restaurants known for using simple fresh ingredients or we can offer low calorie meals at your apartment prepared by our off site Chefs .